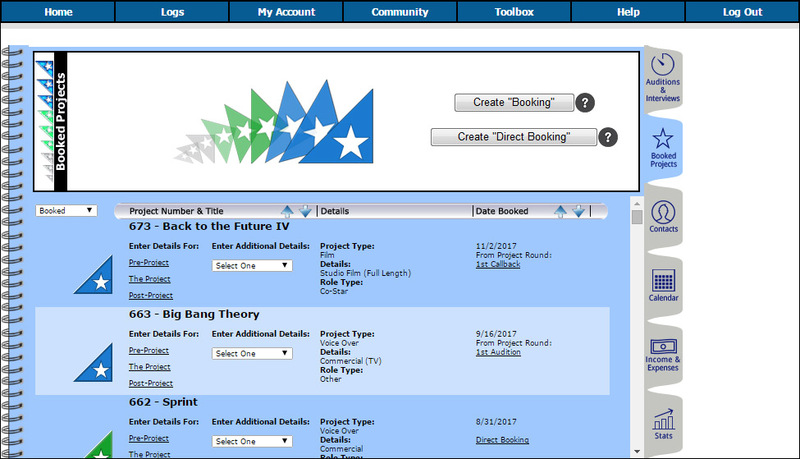 ✔ Convenient view of all your Booked Projects in one location. ✔ Simple one-click access to view/edit each Booked Project. ✔ Create unlimited Bookings and Direct Bookings with ease! (i.e. - Blockings, Rehearsals, Hair Consultations, Wardrobe Fittings, etc.). ✔ All appointment Dates & Times are automatically scheduled in the Calendar Section. ✔ Appointments auto-link to the Contact's History. ✔ One-click access to Driving Directions. (i.e. - Call Times, Curtain Calls, Recording Sessions, Sound Checks, etc.). (i.e. - Air-Dates, Film festivals, Press Junkets, Wrap Parties, etc.). ✔ All appointment Dates & Times are automatically scheduled in your Calendar Section. ✔ Connect Contacts to UNLIMITED Cast/Crew Types for any one project. ✔ Cast & Crew positions auto-link to the Contact's History. ✔ One-click access to Contact Details.